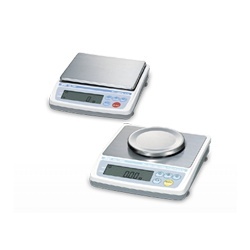 The A&D Weighing Everest Balance includes large LCD display (16mm height) with back light Control zero, mode selection and data output with standard RS-232C. Counting function with Automatic Counting Accuracy Improvement. Standard comparator function--HI/OK/LO annunciator. Full Digital Calibration with optional user definable mass setting. Please note models with an asterik * are NTEP approved legal for trade, such as the EK-600i.